Our family loves board games and card games. I believe there is incredible value for kids learning new skills whether socially (taking turns, co-operation, learning to lose gracefully, etc) or learning strategic planning skills or learning facts about our world and life in general. Add in the value and memory making of playing as a family and you realise that it is all worth it. Growing up we used to play a lot of games together as a family and I have fond memories of that. Then, as newly weds 24 years ago, we bought a few board games such as ‘Pictionary’ and ‘Scattegories’ to play sometimes when we had guests over. Once the kids came along, our collection grew. I love giving a family present to ourselves each Christmas of a board game, plus also the kids each get a board game or card game. Even when we go on holidays, we take along a few card games. Just over two years ago when we returned from living in Mozambique for three months, we were holidaying (re-unifying) as a family in Queensland for a couple of weeks when a good friend brought around to our unit a stack of board games and card games (& a coffee plunger & beautiful coffee!!). It was wet for a number of days and my friend introduced us to a whole lot of new games. We were fortunate to be able to try them out and work out which games our family loved. 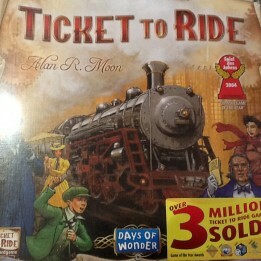 Our all time favourite is ‘Ticket to Ride’. The US version is the most suitable for our family and the easiest. The European version introduces tunnels and ferries instead of just the roads between cities so it makes it a lot harder. The Asian version is an add on to the European version. Basically you are dealt cards with different place names on them, which you have an option to redraw, and you have to collect enough colour cards to be able to get from one of your cities to another one of your cities. There are several combinations to get from one city to another, which is needed if your competitor takes your route before you have the required coloured cards. It is a great game to learn US cities. 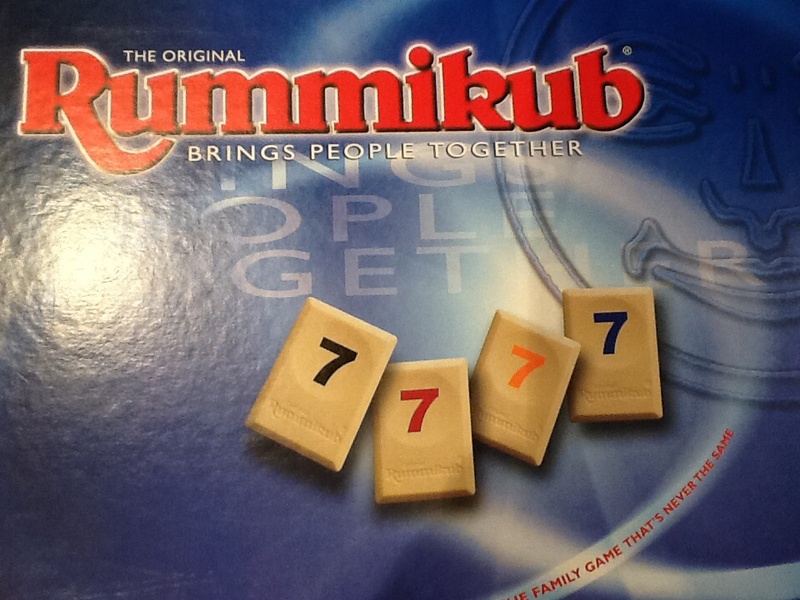 ‘Rummikub’ / ‘Rummikin’ is another favourite. There is also a travel version available. You select 14 tiles and have to be the first one to get rid of them all by placing them in combinations of groups of numbers. You can change combinations around so it is about strategy and looking at various ways of changing number combinations to get your tiles down. 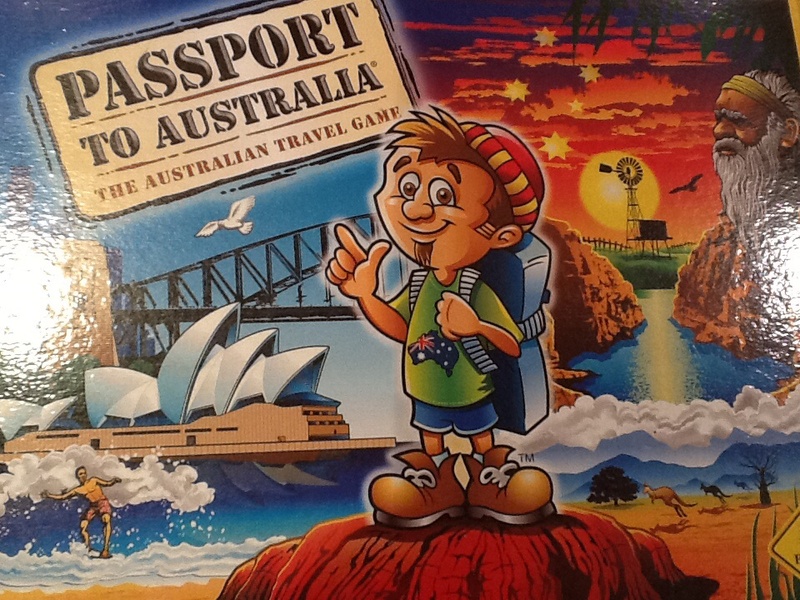 ‘Passport to Australia’ is another great game my kids love although other kids who have visited haven’t got into it. You need to collect a token from each state by answering correctly a question about that state, so as to complete your ‘passport’. Some of the questions are quite hard, others easier. It is a great way to learn historical and geographical facts about Australia. ‘Boggle’ has been a hit right from when Princess first received it as a birthday present 5 years ago. We still enjoy playing it. Trying to make as many words as you can in a set time limit from the limited number of letters shown is fun and challenging. Great for spelling practice and word skills. ‘Monopoly’, ‘Cluedo’, ‘Sorry’, and ‘Pictionary’ are all “oldies but goodies”. My kids love all of these at the moment. ‘Sorry’ is quite basic but they love the thrill of the chase and being able to select who to send back to start and how the game outcome can change quickly. ‘Word on the street’ is good but I would only recommend it if you got it on special like I did. You have to come up with a word in a particular category for each letter of the alphabet. The longer the word the better as you move your token closer to you for each letter of the word you have selected. ‘Lego City’ games have been a big hit with our family as Matey loves Lego. Our favourite would have to be the ‘Cops & Robbers’ game. 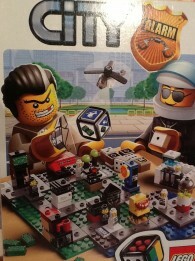 The ‘Lego Creationary’ game is great too at helping the kids be creative. My kids have recently discovered ‘Mastermind’ and ‘Battleships’. Fantastic games for strategy and competitiveness. These bring back many fond memories of my growing up years. 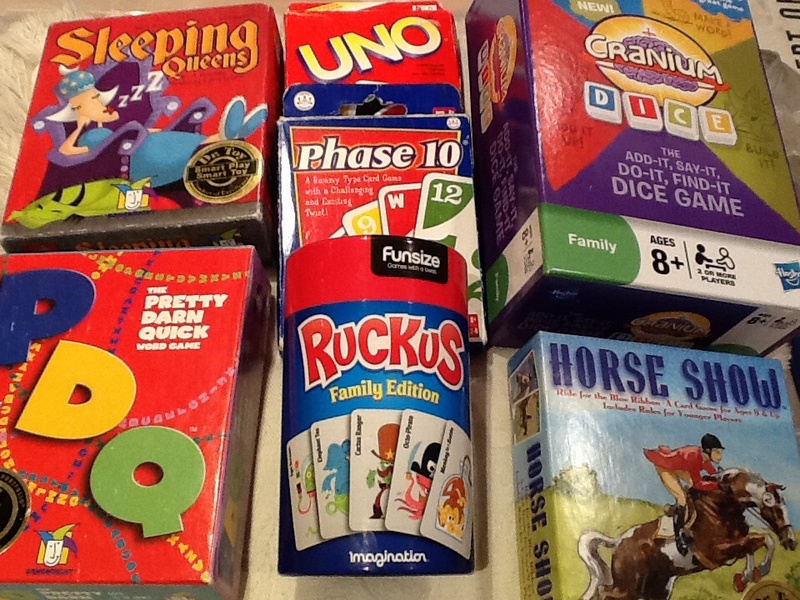 Card games such as ‘UNO’ and ‘Phase 10′ are well loved in our family. ‘Cranium Dice’ (the travel version of ‘Cranium’), ‘Sleeping Queens’ (the cards are nearly worn out in our house from all the playing), ‘Horse Show’, ‘PDQ’ (Pretty Darn Quick) are also well loved and used. We have found better value with ‘Cranium Dice’ than the board game ‘Cranium’ since it means we can take it on holiday etc and it doesn’t take up as much room on the bookshelf. The ‘Ruckus’ card game is a hit but playing it can become very noisy and create a ruckus. Not much skill is required for it and it is great for younger players. 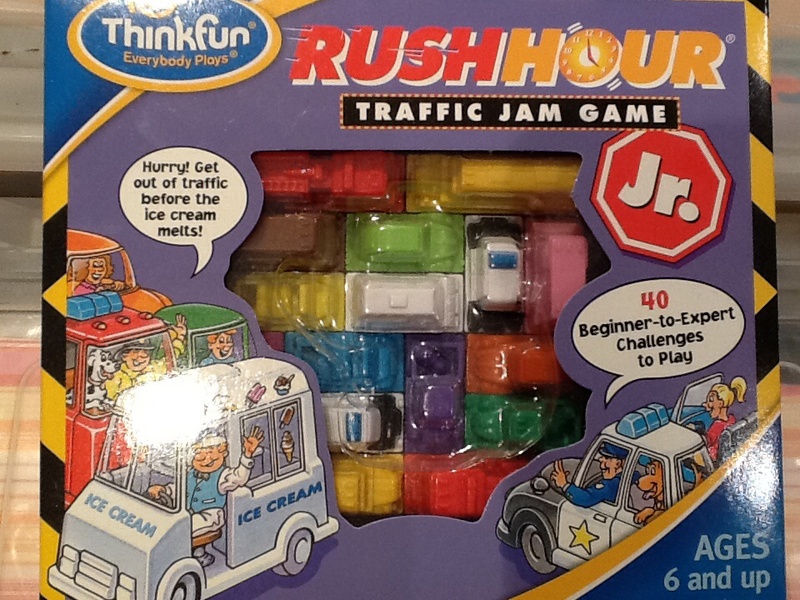 ‘Rush Hour’ is a fantastic game for playing individually and being able to spatially analyse objects. 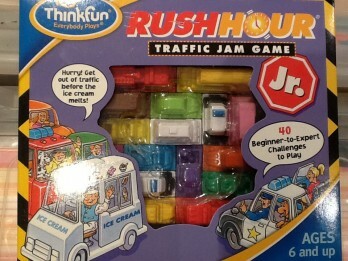 My kids and I love this game and working out how to get the car out from the traffic jam, which other cars need to be moved and when. Great game for individual play. It also comes with animals instead of cars if your child would prefer that. We have a number of geography games that we bought from America via the internet. We haven’t made an opportunity to play them yet but I will let you know if we enjoy playing them. Our plan over the summer holidays is to play a few board games when the weather gets too hot to do anything else. Another fun time is first thing of a morning. The kids love getting out of bed to begin a game and start the day that way. With Christmas coming up, I encourage you to give a board game or card game to your kids. It helps create unity, co-operation, teamwork, competitiveness and strategic thinking skills. It also helps bond the family together as you play a game having fun and laughter without needing electronic entertainment. I am always on the lookout for new games. What are your family’s favourite games? Please feel free to comment below to let me know. Thanks for sharing your thoughts and wisdom. I’ve gleaned a few good ideas from you over the last few months and I’m appreciative. Our family has recently started a tradition where we buy a board game on Australia Day each year. (We’ve also added in “Toasted Marshmallow Day” in August and we’re planning on adding a “Random Acts of Kindness” day some other time through the year!) Our kids’ (2,4 and 6yrs) favourite board game at the moment is Mouse Trap. Some friends of ours recently purchased a game called Cartoon It for their 6,7 and 9 year olds and they are really enjoying it. Time spent playing together is never wasted! Thank you so mcuh for your comments. Love your ideas of the traditions on certain days each year. I am going to implement some of them in our family. I was chatting with a mum of older teenagers today & she commented how traditions (whether good or bad) help to create memories and make the kids feel safe & secure & that everything is alright. I will have to check out the game ‘Cartoon’ for my kids (10 & nearly 8). Just clarifying that the game i mentioned is called “cartoon it”. Thanks Kate. I will look into the follow-up comments to see what I can do. Thanks. Mu daughter (5 Yrs) loves ‘Snap’ and ‘Uno’. But one we have picked up lately is called ‘Bright Buttons’, which incorporates physical activity challenges (e.g. 5 star jumps), animal questions (e.g. does an elephant have a tale?) and general questions (e.g. if you put an egg, milk and flour together what would you cook?). 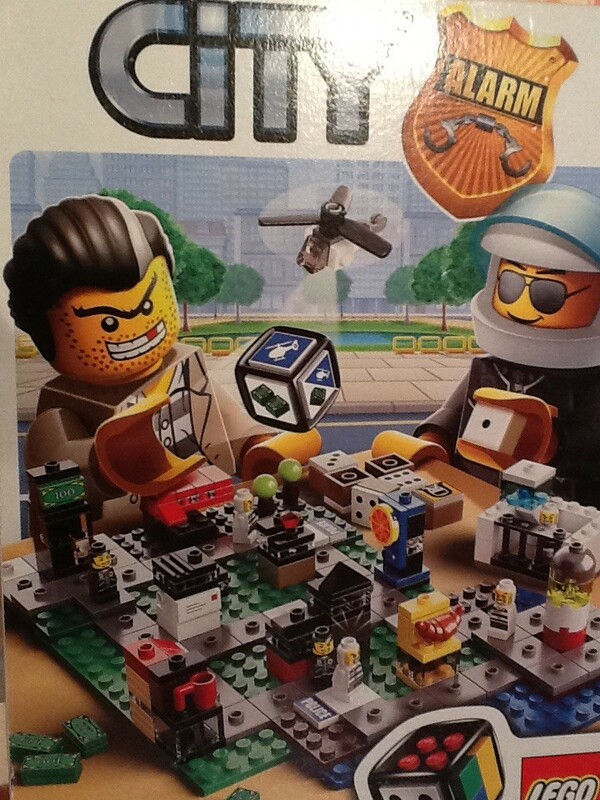 We have found it a great game to play with all ages but definately suits 4+. Thank you Billi. Great games!! I love games that are a bit ‘out of the box’ and get them moving, thinking, etc. Thanks. Games is a great topic of discussion. We’ve just arrived home from our December Caravan Trip and games go so well in the caravan. last trip when the girls walked out to pack a stack of favourite board games we realised we needed to teach them more ‘compact’ games. They have learnt over the past year lots of games with a standard deck of cards, stll love uno and sleeping queens, we have a national geographic card game, then we also take yartzee. A favourite games at Nana and Pa’s are Blockus and Sequence. OH and our favourite lego game is shear the sheep. Thanks so much Jackie. You can’t beat a pack of cards!! Very portable & can use for a variety of games. What’s the National Geographic card game called? I am always interested in geography games. We haven’t got into Yartzee yet. Wishing you & your family a great Christmas as well.